I wish I had known about and tried Menstrual Cups sooner - I would have saved so much discomfort, and money, and waste. I discovered them last year through my obsession with all things Biome Store. Then a stellar friend vouched for them so I gave it a go. And, boy-o, am I mad at myself for not getting one sooner. 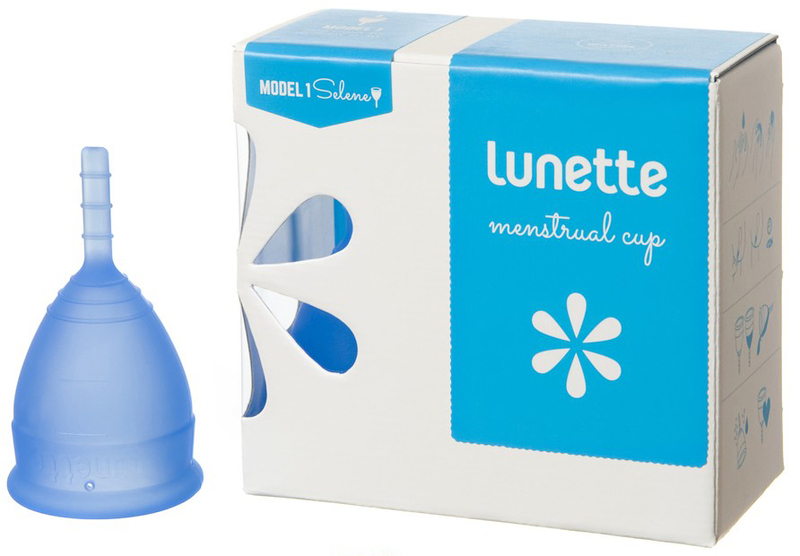 I have the Lunette Cup - Size 1 in blue (pictured). 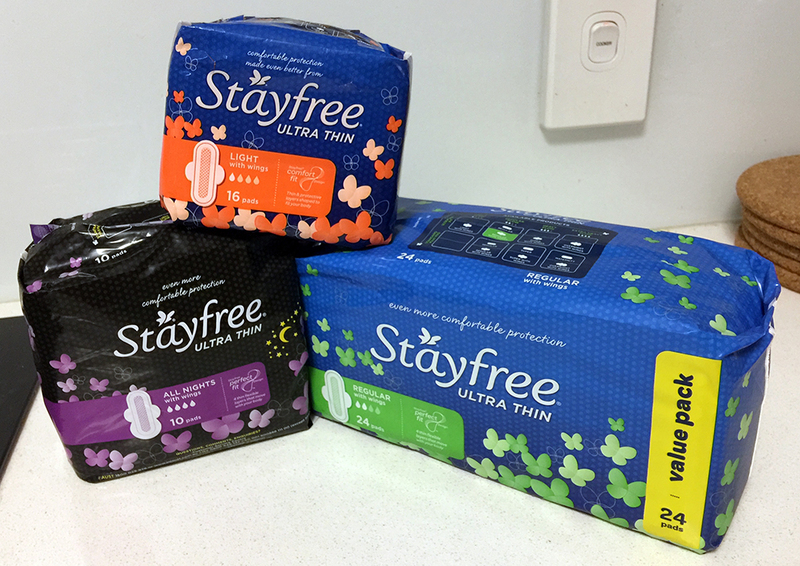 It is SO much better than icky tampons or pads. I actually forget I have my period a lot of the time because I can't feel the cup inside me the way I felt tampons and pads. The only time I am aware of having my period is on my heavy flow day where the bleeding is so heavy it leaks from the cup. On these days I'm aware of the my period because I use Ecomoon's reusable menstrual pad as a pantyliner and sometimes when the cup is really full I can feel the blood sloshing around when the cup is nearly full and I'm overdue to empty it. It hasn't been all smooth sailing. The first time I slept with the cup it slipped further in (this is normal), and it took me half an hour to figure out how to get it out. I, of course, didn't read the instructions until I absolutely had to. You need to bear down, using your muscles to squeeze it to the base of your uterus where it normally sits. Then you can easily reach up and wiggle the cup out like usual. I also had another incident where I used the bearing down trick with a full bladder and accidentally peed all over my hand. Mm...That's a warm memory. Now I know to pee before I bear down. Yup. The joys of womanhood, hey? Even though it can be a messy learning curve go begin with, I swear by the menstrual cup and will never look back. It feels like a big investment to spend $50-ish for a cup but think of how much tampons will cost you over 5 years or more. The cups last for years, some of my friends have had their one for 5-8 years and haven't needed to replace it yet. Seriously, worth giving them a go! Less waste - no more pads for me!